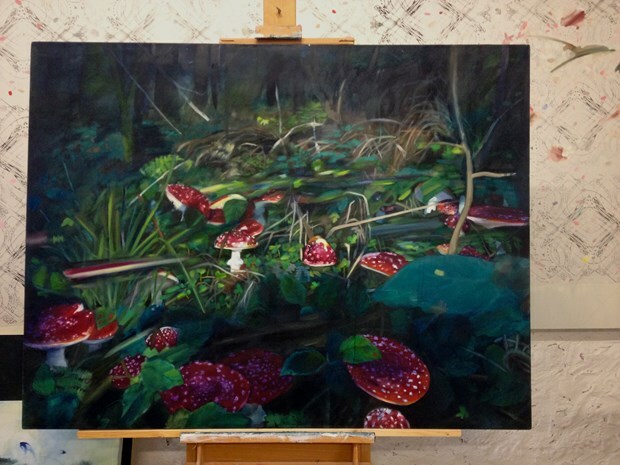 A few years ago I stumbled across a massive array of Fly Agaric toadstools which was something of a dream come true so I took lots of photographs and began this painting. 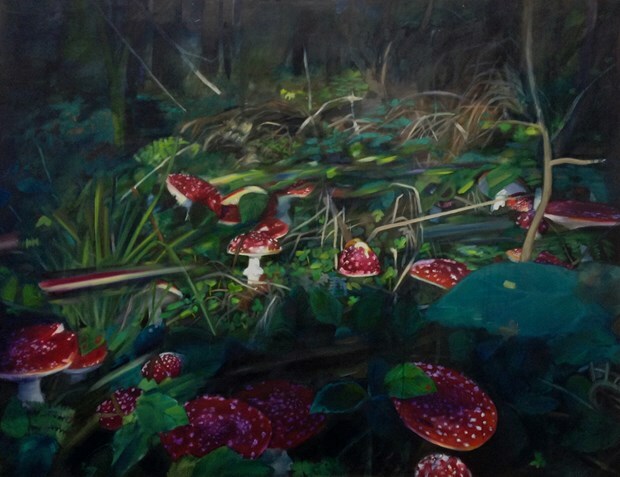 Fly Agaric are toxic and have hallucinogenic properties and therefore I decided to regard their landscape and context in terms of these properties. I had also been doing a lot of work indirectly inspired by Syd Barrett who is famously a victim of LSD and this almost pseudo Victorian subject tied in with the revival of Victorian art in the 1960s and 1970s which I had also been researching; as well as with interests in Alice's Adventures in Wonderland, pre-Raphaelitism and the aesthetic movement. It is part of a larger body of work that assesses the impact of these trends and their revival during the formative years of todays contemporary artists, on our contemporary thinking, tastes and apprehensions. 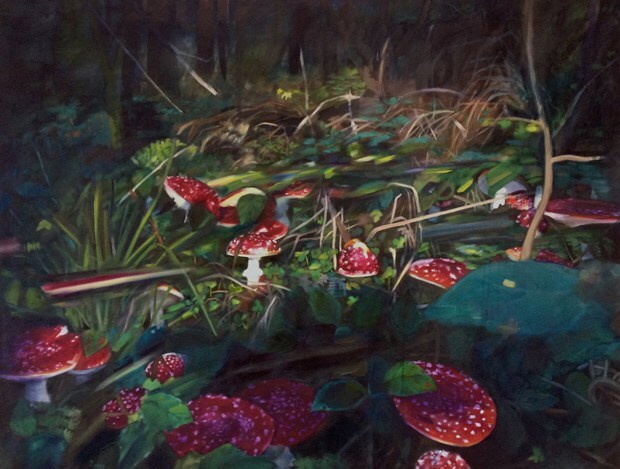 If you are interested in purchasing this work I strongly recommend that you come and see it in my studio as the colours are hard to capture digitally. It is the product of many years of thoughtful work; a piece I have kept returning to. Please contact me via the in-mail system or via my website.